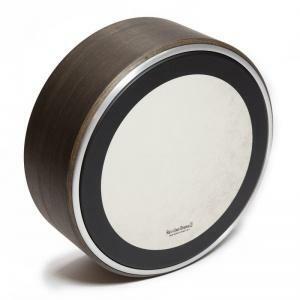 Rebellion Drums Bodhráns are made for standard synthetic drum heads. The Touchstone model comes in three different colours bright, brown and dark. The Wave model comes in silver and red and features a concave outer frame. 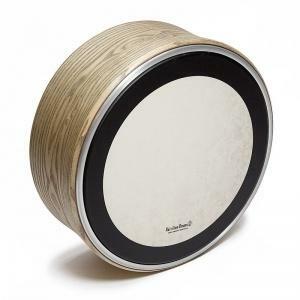 Rebellion Drums Bodhráns are designed to meet the needs and standards of contemporary percussionists. 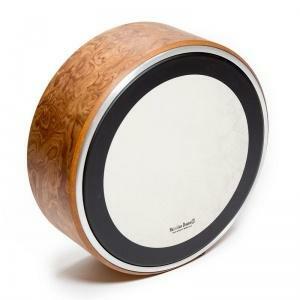 Our flexible design can use any 14″ synthetic drumhead, allowing you to tailor your own individual sound. Do you want a deep, attack-heavy sound with short sustain, like a compressed heavy metal bass drum? How about a sound that is tonally close to goatskin? 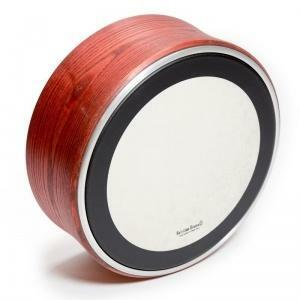 Do you want to try timpani-style calfskin sound? An effects head with jingles or snares? How about a virtually Silent practice head? These are all possibilities with Rebellion Drums bodhráns! Our bodhráns are completely vegan. We use no animal products in the skin, frame, glue, or surface treatment. All of our design elements work in harmony with sound being the first and foremost consideration. Our bodhráns speak clearly at all dynamic levels and with any type of stick. They present a pleasingly musical sound across the entire frequency range, without any tones that stick out from the mix. The bodhráns weigh enough to feel solid, but they are light enough that traveling with them is easy. The size of the bodhráns is universal. They are big enough to give power to the sound, but small enough not to be overwhelming in a session or acoustic environment.